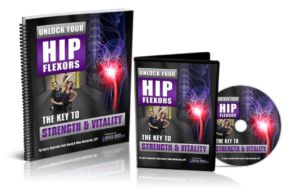 Unlock Your Hip Flexors Review: Are Tight Muscles Holding You Back? Rick Kaselj and Mike Westerdal teamed up to present Unlock Your Hip Flexors, a simple “flow” to open your hips. Tight hip flexors are a common issue for people who sit down a lot. In other words, everybody. Can a program that only takes 10 minutes a day actually make a difference? We purchased the program to test it out for ourselves. This review will tell you what we think of it, and whether you should check it out for yourself. 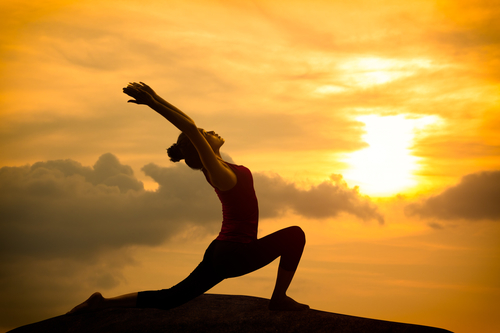 According to Rick Kaselj, your hip flexors are also known as your “psoas” muscles. These muscles connect your torso to your legs, and are involved in practically every movement your body makes. 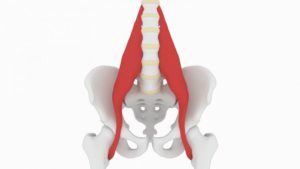 When we spend a lot of time sitting the psoas tends to stay short and tight. This leads to chronic tightness and forces the rest of your body to compensate, causing poor posture. Unfortunately, being physically active outside of school or work isn't enough to undo the damage. In the program he discusses the different ways tight hip flexors can affect your life. As he says in the book, if we want to function well then our hips must also be well-functioning. The most common problem caused by tight hip flexors is low back pain. There is even a medical term for lower back pain due to tight hip flexors: psoas syndrome. And this list is just a sample. A quick internet search will show you many other problems that tight hips can cause. Want To Learn More About Rick Kaselj and Mike Westerdal's Program? Click Here. You most likely have tight hips if you sit a lot. That means most of us are at least a little tight in the hip area. Unlock Your Hip Flexors provides a simple and straightforward set of movements that are designed to loosen and strengthen your hips. The movements are done in a sequence which he calls the “sequential flow”. If done correctly, this flow is supposed to help correct the tightness and imbalances caused by sitting too much. The sequential flow method is based on current research as well as Rick Kaselj's many years as a physical therapist. Although some of the stretches and exercises are well-known, Rick says it's the specific sequence that's most important. The sequential flow is a combination of static stretching, dynamic movements, and strengthening. It takes just over 10 minutes to complete. Rick recommends doing it at least once each day, at least when you are first starting out. Opening your hip flexors requires more than just static stretching. That's why you'll be mixing longer (20 second) stretches with some dynamic stretching, proprioceptive neuromuscular facilitation (PNF) stretching to increase range of motion, and strengthening exercises. The program includes an ebook (the “Unlock Your Hip Flexors Manual”) which explains the anatomy of the hips and gives detailed instructions for each of the movements. You also get a video series that coaches you on how to do the flow. These videos include instructional videos as well as a follow-along video done in real time. We already told you about the problems caused by having weak, tight hip flexors. So it makes sense that using the program every day will lead to all kinds of benefits, as it has for many people already. Flattened belly fat. Opening up your hip flexors will make your torso more upright. This reduces the appearance of the overhanging belly fat “pooch”. Improved core strength. The flow sequence includes some key core strengthening moves. They're easy to do, but you'll certainly see an improvement if you follow the sequence on a regular basis. Reduces your risk for injuries. A lot of athletic injuries are due to poor mobility. The hip mobility exercises will make that less likely to happen to you. Improves your sexual performance. Whether you're a man or woman, reducing tension and improving blood flow in your hip flexor region can have a positive effect in the bedroom. More athletic. Serious athletes and weekend warriors alike will benefit from having strong and fluid hips. Problems caused by poor posture don't get enough attention. We usually think about diet and exercise as the keys to good health, but bad posture can ruin your health even if you do workout and watch what you eat. If you spend a lot of time sitting you almost certainly have posture problems that you need to address. Rick Kaselj's program can go a long way toward fixing bad posture. The program does require some effort on your part. But considering how much time you've spent sitting throughout your life, setting aside 10 minutes each day to undo the damage doesn't seem like much. The nice thing is that you can give it a try without risk because of the 60-day guarantee. If you're ready to reverse the damage caused by sitting, visit the program website here >>www.unlockyourhipflexors.com<< and get started risk-free.